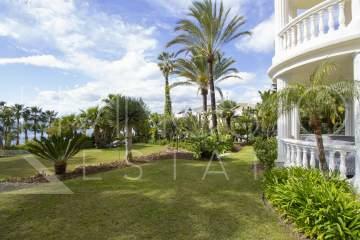 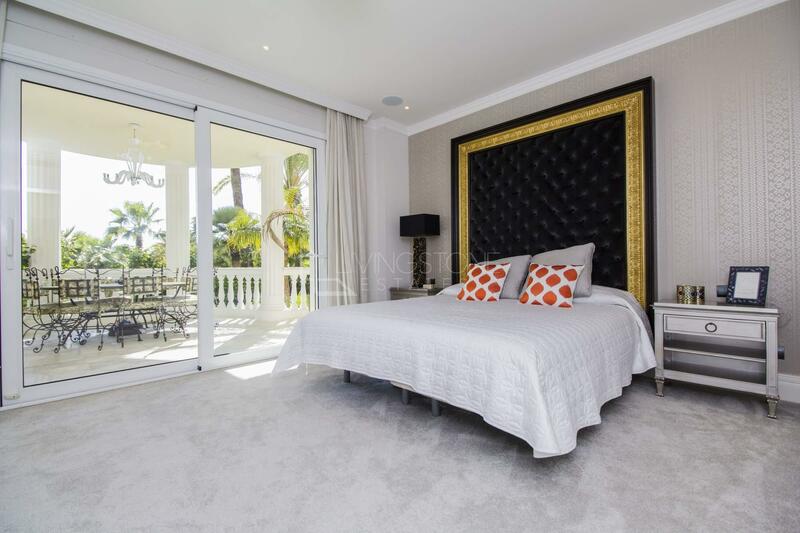 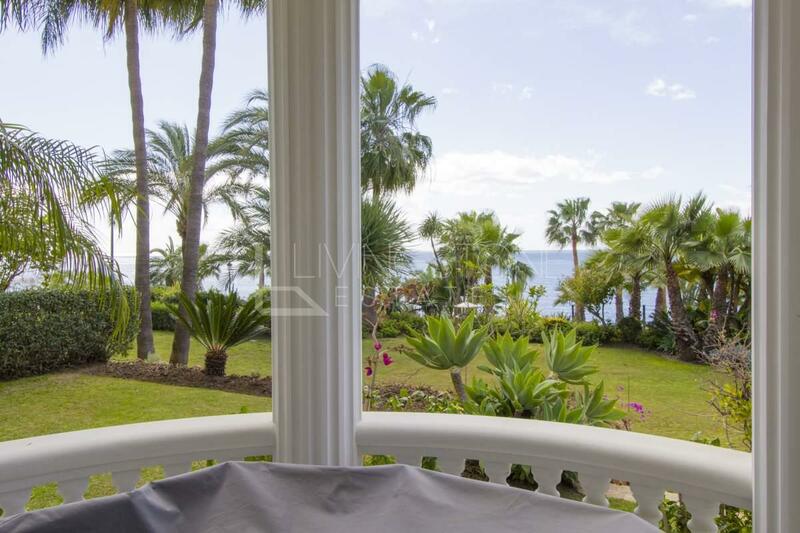 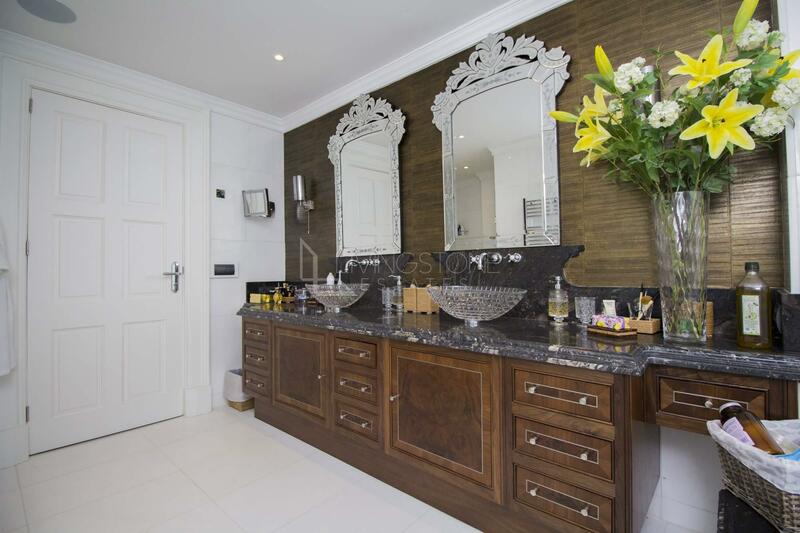 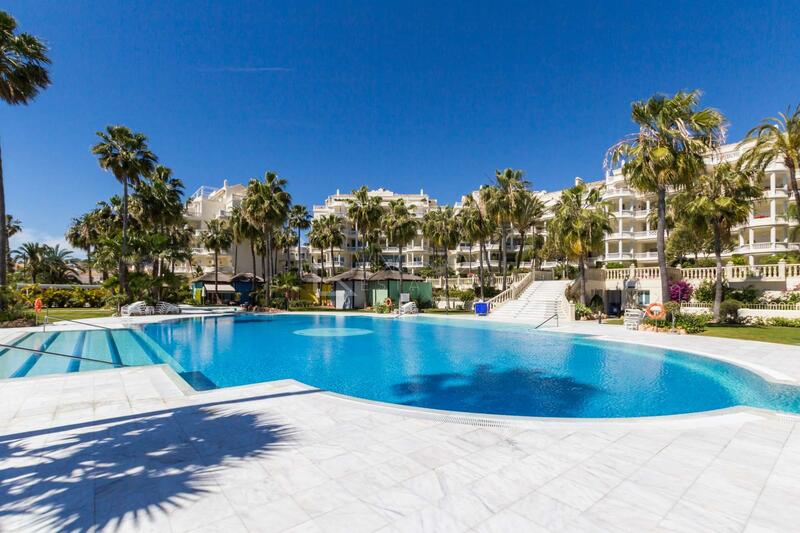 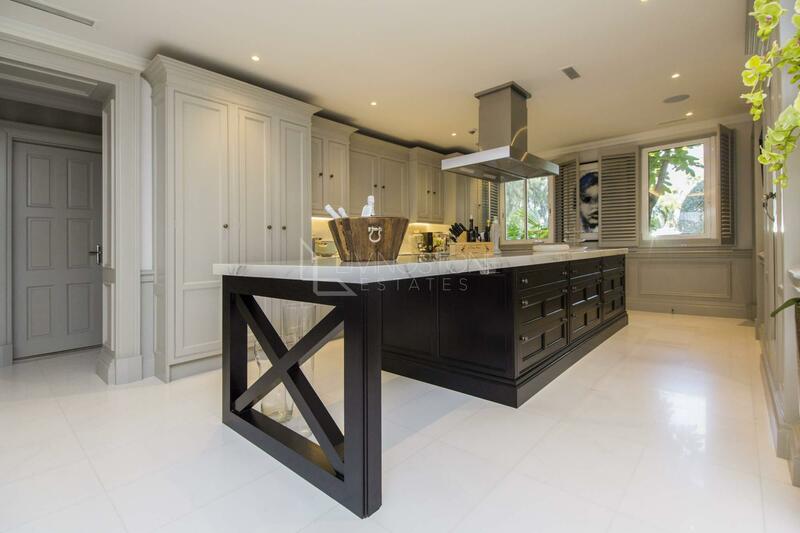 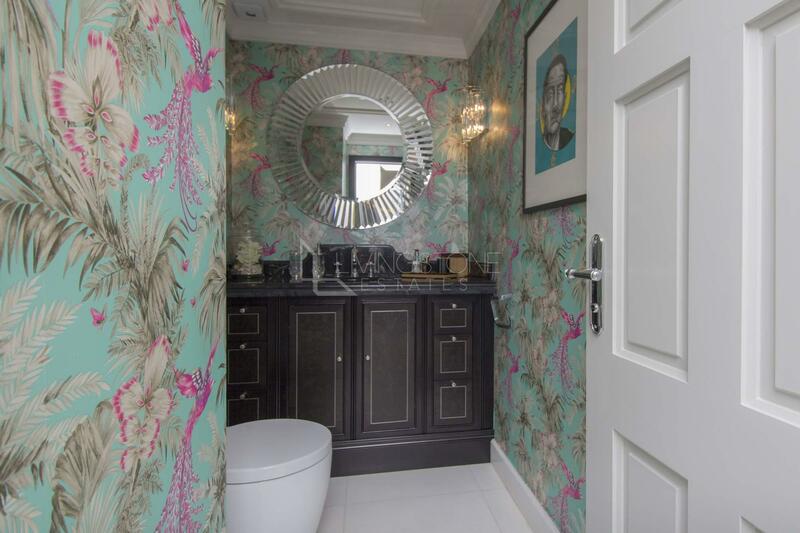 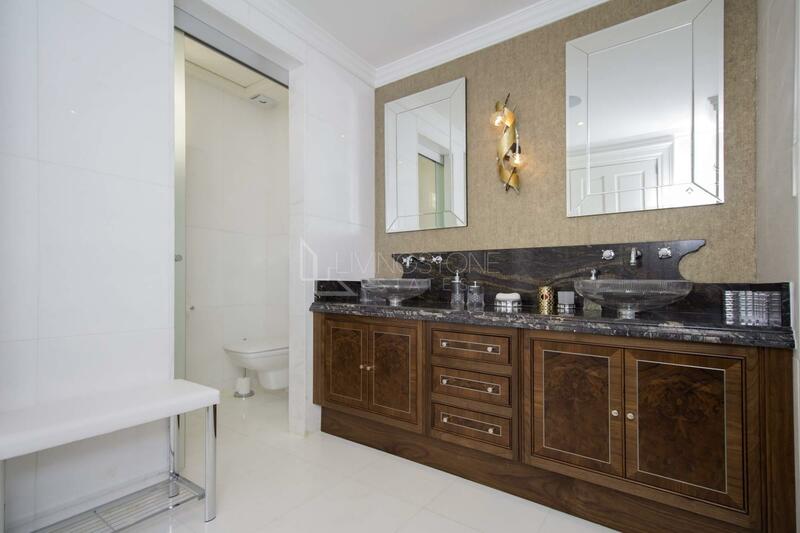 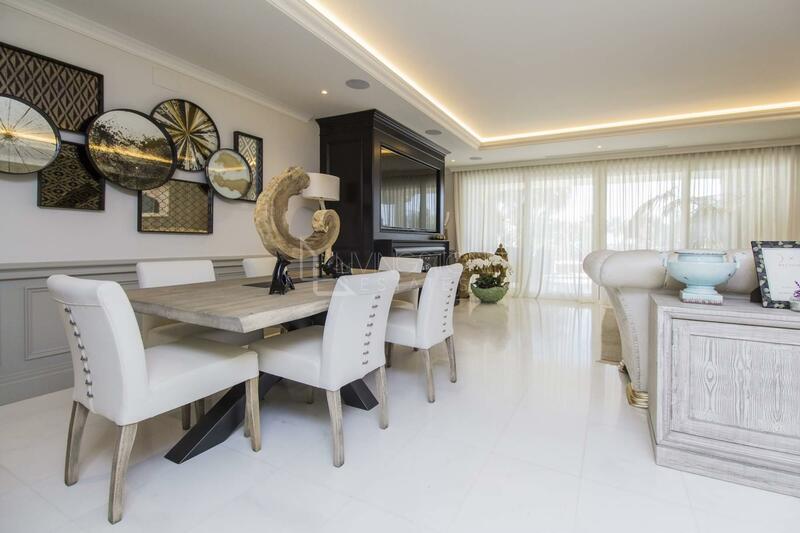 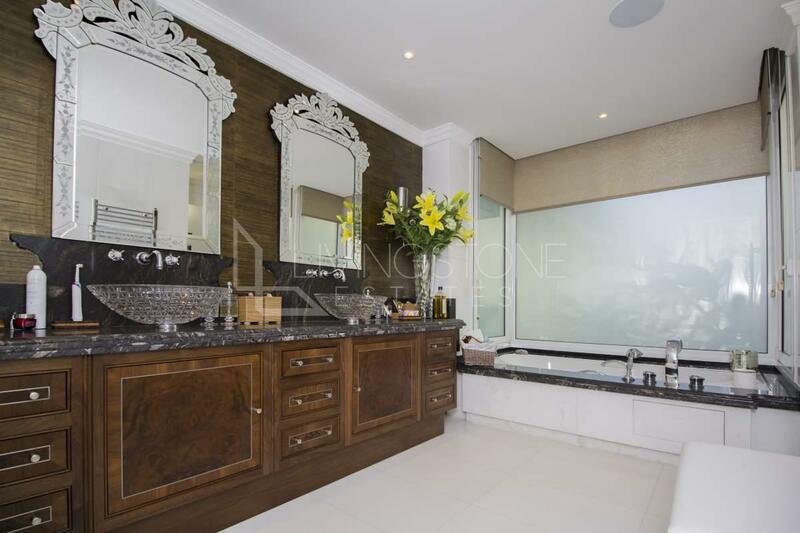 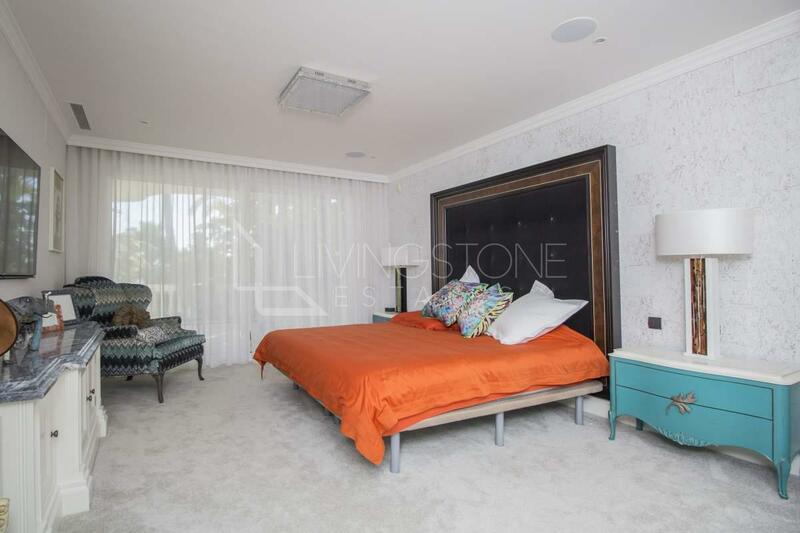 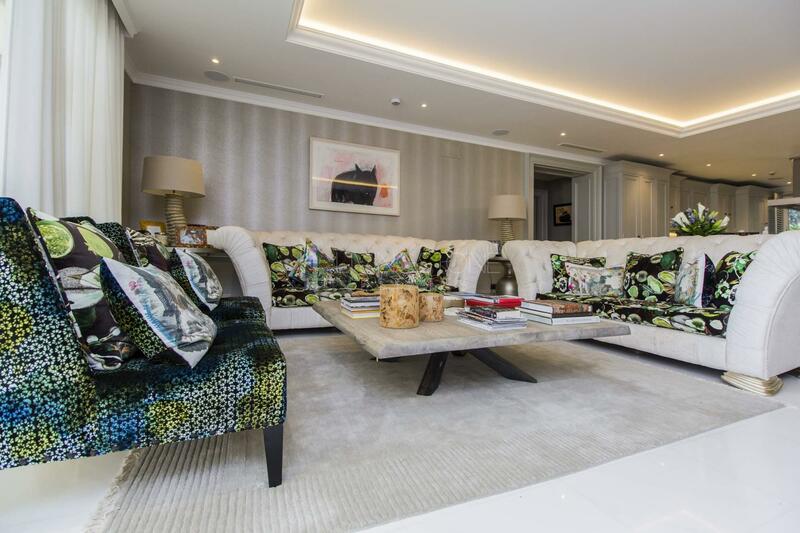 This luxury ground floor apartment, measuring more than 170m2, boasts a large open planned living space, comfortable living and dining area, and two bedrooms with their own en-suite bathrooms. 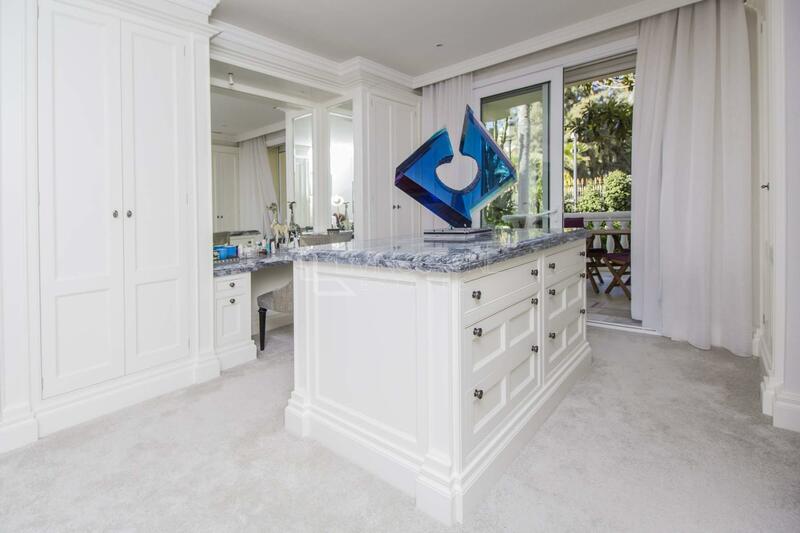 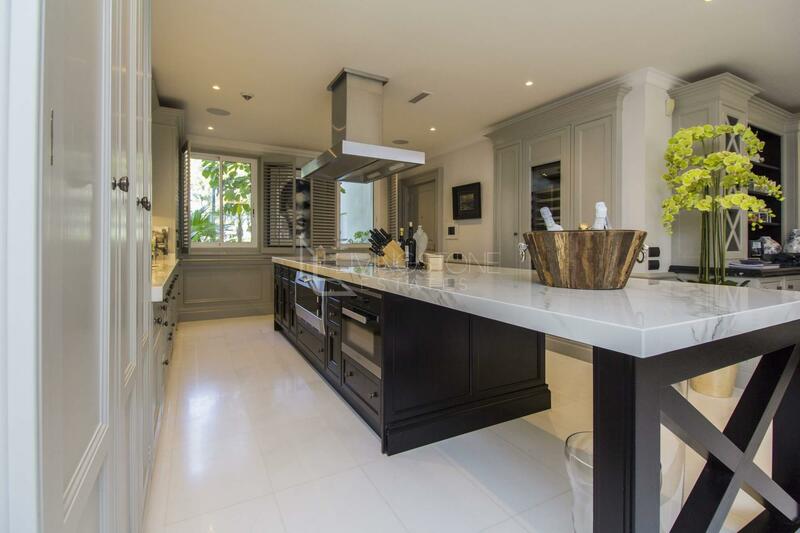 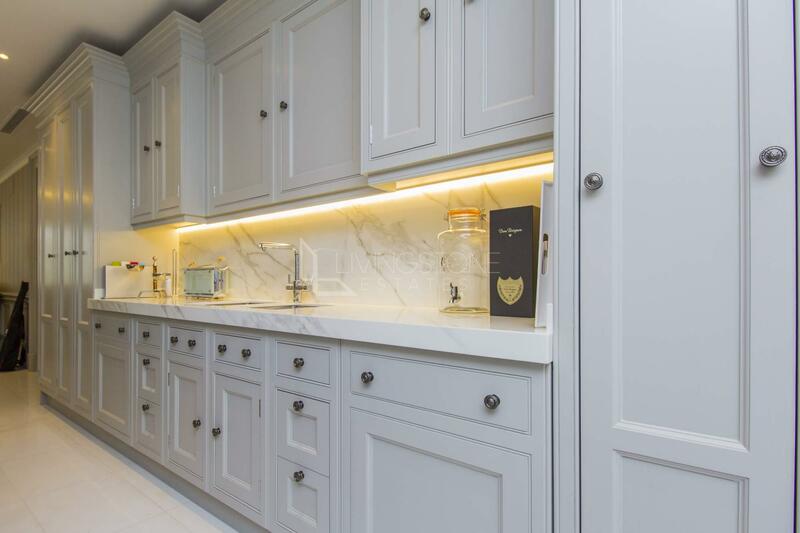 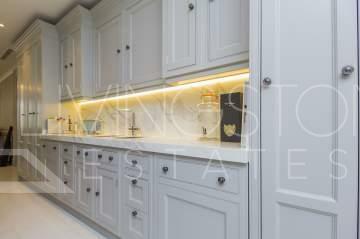 The open plan kitchen with island is a handmade project by the renewed interior designer Clive Christian, mixing luxurious elements of crystal, marble, and porcelain. The same concept is maintained with all the fitted wardrobes and bathrooms. 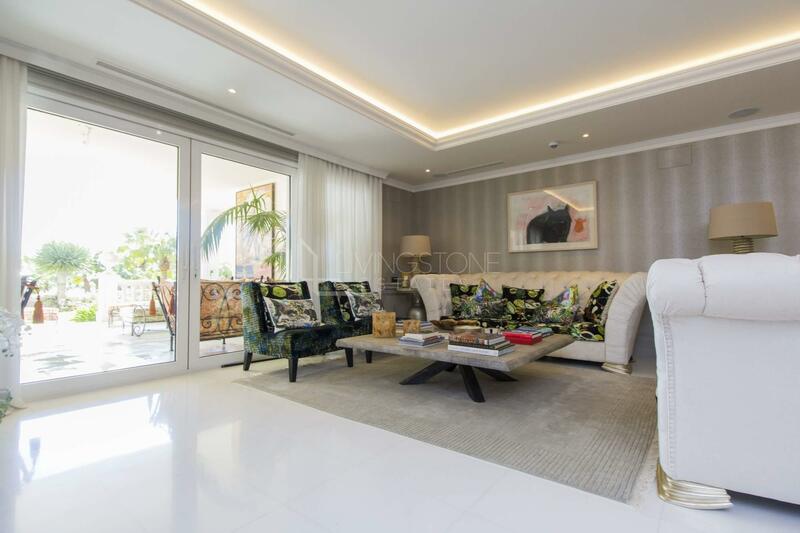 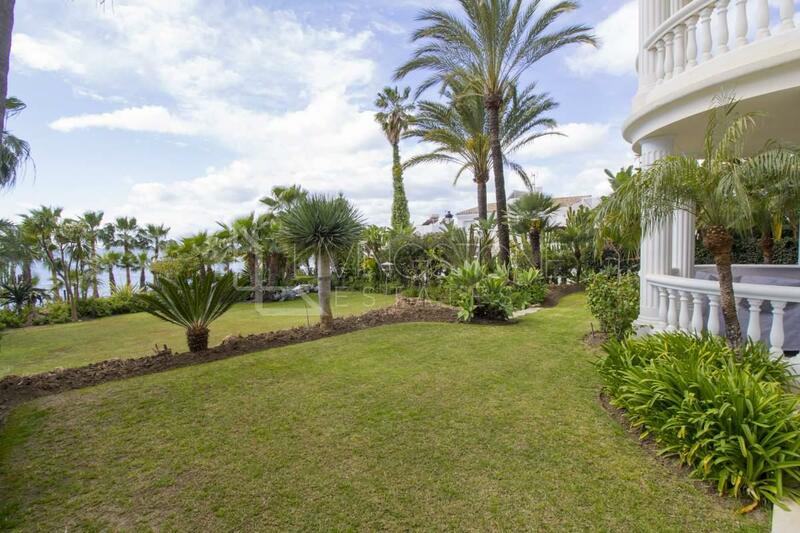 All spaces are connected with a large terrace measuring more than 110m2, that ensures natural light in most of the property. 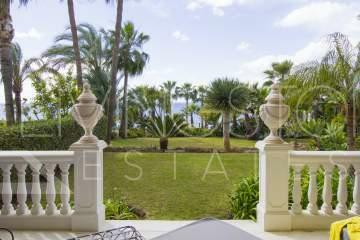 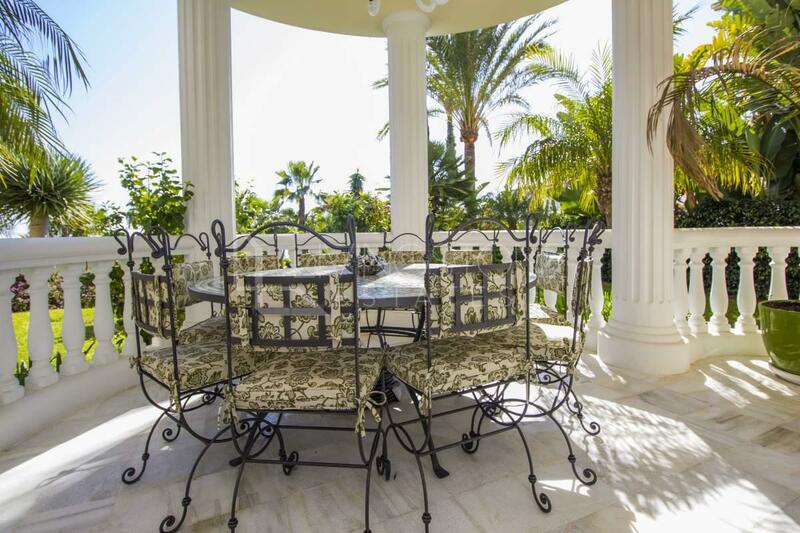 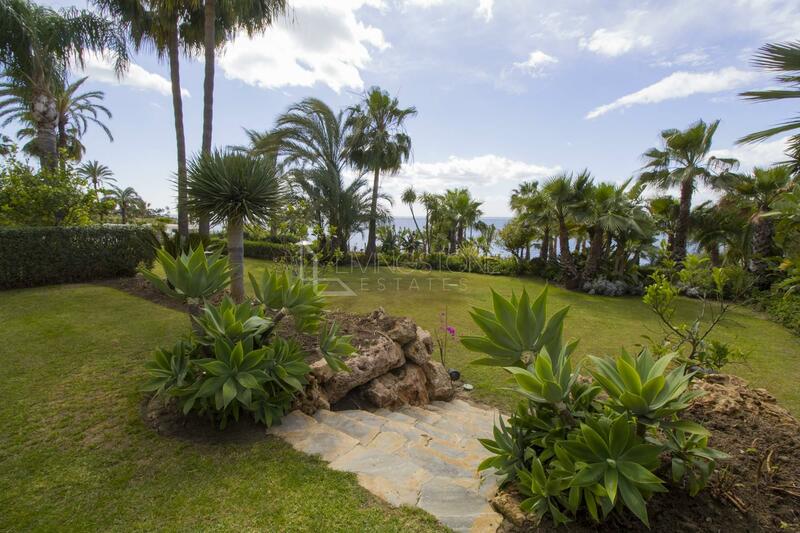 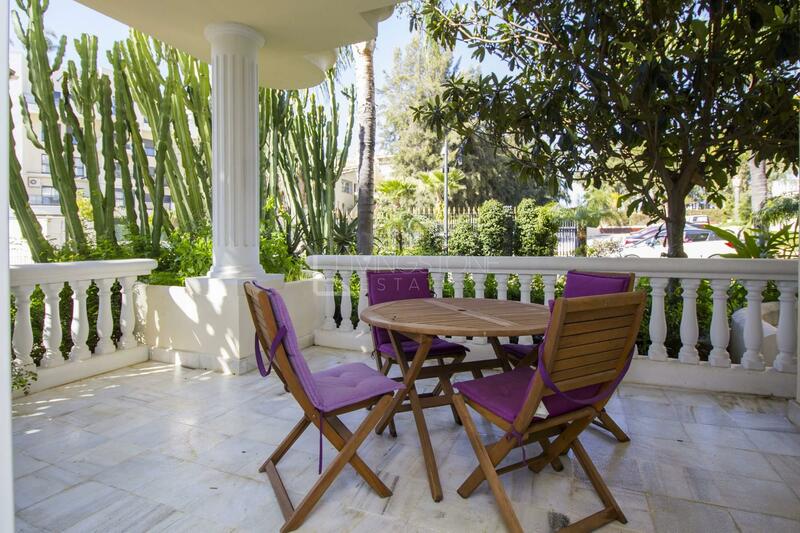 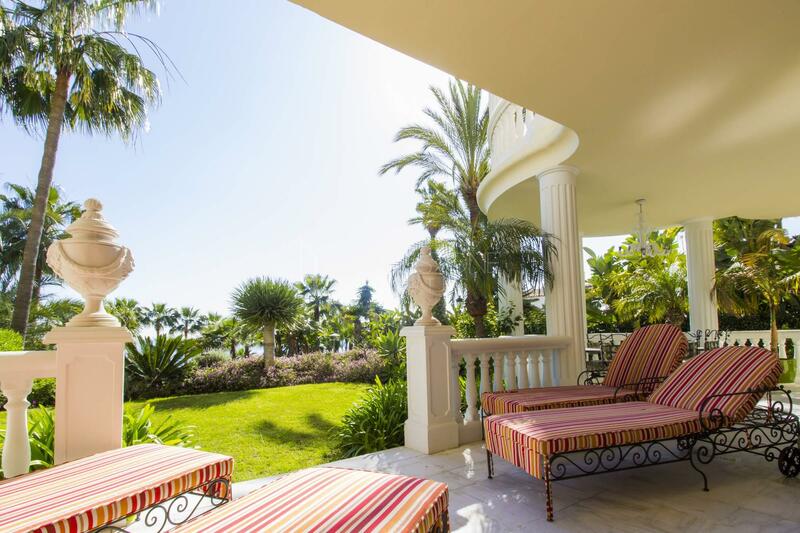 The terrace is fully covered and comes with its own dining table and relaxation area; the beautiful garden is the perfect spot to lay your sunbeds and enjoy the magnificent sea view. Top-quality fittings and equipment, underfloor heating, air conditioning, electric shutters and high-tech domotic system.